Success will Pey'j wages at Ancel studio. The success of cel-shaded adventure Rayman Origins could help the long-awaited Beyond Good & Evil sequel see light of day. Ubisoft designer Michel Ancel, creator of both franchises, will get "more leeway" should Origins perform well at retail, the company's sales exec Tony Key told Industry Gamers. "Ultimately, Rayman is [Ancel's] original creation, and if all the people that love Beyond Good & Evil understand he is more than a one trick pony... and that if Rayman: Origins does well, it gives him more leeway for other opportunities because he has to build up his studio," Key said. 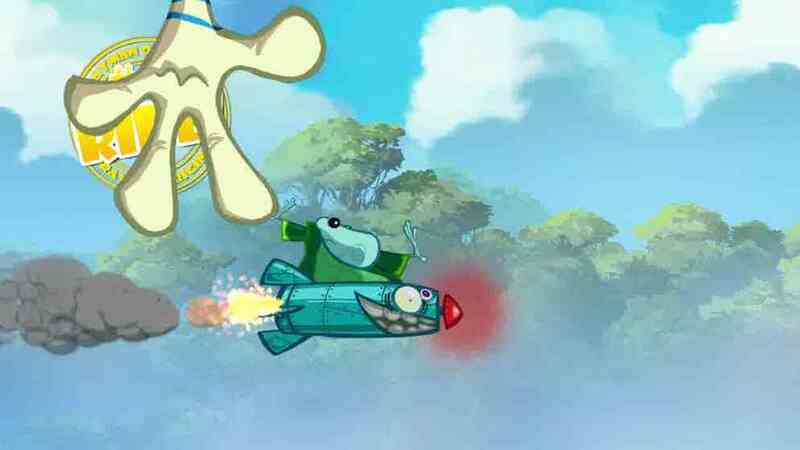 Like Rayman, Beyond Good & Evil has a "whimsical style", Key said, while including gameplay that appeals to both children and adults. Meanwhile, the downloadable version of Beyond Good & Evil released this year for PSN and XBLA is "doing very well", Key added. "There are a lot of people coming back, and if they choose to do a sequel the audience is bigger than before." Originally planned as a trilogy, Beyond Good & Evil 2 has repeatedly been promised, although Ancel stated in June that the project might be too ambitious for the current generation of consoles.